This piece is part of a two-part series. Part One is meant to contextualize Pradel’s essay. 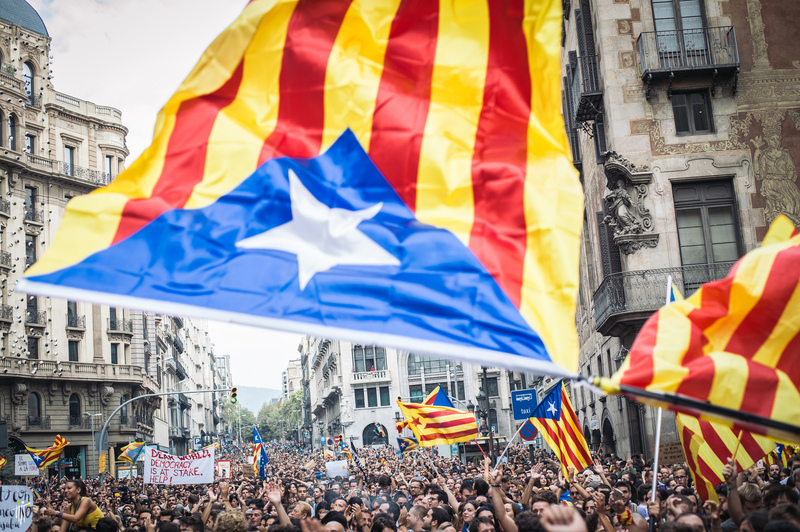 The Catalonian independence movement won what appears like a clear victory on December 21. All the same, Ciudadanos (Citizens Party), a liberal pro-unity party that calls themselves “post-nationalist” won the majority of votes. This was a great success for Ciudadanos because no one imagined that this young party, which only began to grow support from 2012 onward, could achieve such a majority. They oppose the separatist movement, and their pro-unity stance has substantially grown in support. However, this was a “bittersweet accomplishment” for Ciudadanos because even though they received the majority of votes, it was not enough to win a majority in the Catalonian parliament. The separatist parties benefited from an electoral system that – to avoid marginalizing rural populations – gives extra weight to rural districts, which tend to be more nationalist and support the separatists. Hence, the separatists secured seventy seats in a parliament of 135, while the unity parties obtained sixty-five seats. The pro-independence parties, Junts per Catalunya (Together for Catalonia), ERC (Republican Left of Catalonia), and CUP (Popular Unity Candidacy) won 48 percent of votes but the unionist parties got 52 percent. If one looks at the performance of the separatist parties in Barcelona, it was weak, only garnering around 44 percent of the vote. After the elections, Carles Puigdemont made various declarations where he stated that the “Spanish state has been defeated, Rajoy and his allies have lost” and demanded an end to the prosecution of separatist leaders. On January 17 a vote was held to pick the new president of the Catalan parliament. There were eight MPs who were unable to attend the session, three of whom were being held in detention and assigned their vote to proxies. The other five, including Puigdemont, were in Brussels and decided not to assign a proxy for their votes, to avoid any challenge from Rajoy’s government. The pro-independence candidate Roger Torrent was elected as president of the parliament. In the first round of votes there was no absolute majority, which would amount to sixty-eight votes. In the second round Roger Torrent won with a simple majority of sixty-five to fifty-six votes. His win resulted in the pro-independence parties to regain control of the Catalan parliament. At the end of the parliamentary board election, four out of seven positions are occupied by pro-independence MPs. Ciudadanos and PSOE only occupy respectively two and one positions. The independentists gaining control of this board is significant because it is the governing body of the parliament and has control over the debates of legislature. This parliamentary board now has the responsibility of suggesting a candidate for the position of President of Catalonia. While acting as President of Catalonia, Carles Puigdemont declared the region independent. On October 30th The Spanish government then charged him with sedition, rebellion and misuse of public funds. On that same day Puigdemont fled to Brussels, where it was thought he would potentially seek asylum. These requests are rare, but possible. Puigdemont for the moment has hired a Belgian lawyer with expertise in handling asylum cases. His escape did not receive much support; many have criticized the Catalan leader for mobilizing the Catalans and then abandoning them. It has been portrayed as a cowardly move. There was an international arrest warrant issued for the Catalan leader but it was withdrawn by the Spanish Supreme Court to ensure that the EU would not prosecute him for lesser crimes. It was thought possible to propose Puigdemont be re-instated as president of Catalonia, despite his absence. There were even various news articles that thought he could campaign via Skype — in some Spanish press he was named the “ Hologram President.” The leader of Ciudadanos, Arrimadas, was quick to respond, saying that this would “further degrade the image of the Parliament.” She further criticized Puigdemont’s approach by suggesting his halfway commitment demonstrated a lack of seriousness. The question of whether Puigdemont could govern from abroad was put to rest by Prime Minister Rajoy, who declared that Puigdemont must be there physically, otherwise Article 155 would remain in place. However, the newly-elected President of the Parliament of Catalonia, Roger Torrent, declared Puigdemont as an official candidate for the Catalan Presidency on January 22, 2018. Furthermore, Torrent requested a meeting with the Spanish prime minister to hopefully “unblock” the investiture of power to Puigdemont. After the election of January 17, there was a wait of ten working days to present a nominee for the Catalan presidency. Currently, the sole nominee is Carles Puigdemont. The investiture session was meant to take place on January 31, 2018 at the latest. Once again the winner can have the majority of sixty-eight votes; but should this not occur a second round of votes will take place where only a simple majority is required. If this also does not happen the parliamentary groups must decide if they want to keep the current candidate, in this case Puigdemont, or nominate a new one. The dissolution of parliament will repeat if the process lasts more than two months, and new elections will take place fifty-four days later. However, the process has not yet begun. The static situation remains because the president of parliament Roger Torrent indefinitely postponed the investiture of Puigdemont but did state he is still the only candidate. The details of investiture are now at the center of the discussion. The candidate must be present during the nominations because he must engage in debate directly and personally with parliament. This means Puigdemont cannot be president from Brussels, an option that was only supported by his affiliated independentist party, Junts per Catalunya. However, as the uncertainty continues most recent reports state that the secessionists now ask Puigdemont to accept a “ symbolic leadership position,” where he would not have any legal power. The Catalan Republican Left (ERC), a pro-independence group backed up this proposal. The goal is to present a new candidate and end the enactment of Article 155, which removed the autonomous power of the region after it declared independence. However, Junts per Catalunya presented a bill on February 9 to amend the Law of the Presidency of Catalonia. They hoped this would allow Carles Puigdemont to govern from Brussels. This bill was not something the ERC party was informed about, which resulted in them not signing and not letting it pass. The ERC wants Puigdemont to be recognized as a symbolic leader only to set things in motion, outside the investiture session. For now the next possible leader of Catalonia could be Elsa Artadi, an economist who has a close relationship with Puigdemont and has helped organize various campaigns for Junts per Catalunya. Junts per Catalunya intend for the former president Puigdemont to continue ruling de facto from Brussels. 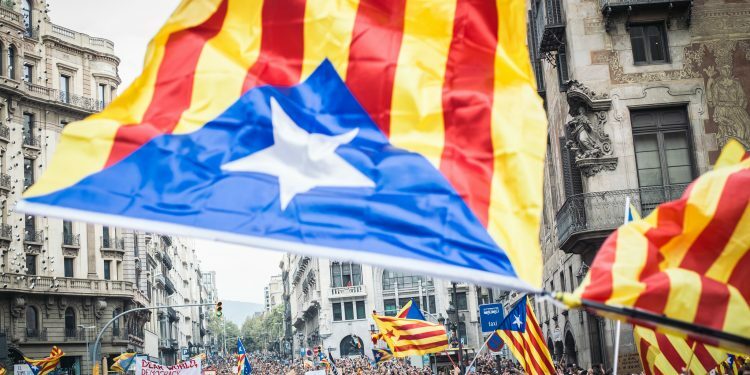 As the series of events continue to develop Catalonia keeps falling into exceptional circumstances, where only time will tell what the next developments will be. The current situation in Catalonia is one that has garnered much attention, but somehow the conversation remains static. Prominent figures in the fray are carrying down a road that does not seem much different from what was there previously. A negotiated agreement is the ideal outcome, but that is easier said than done. Catalonia and Spain are stuck in this constant cycle of tension that nobody knows how to break. The “noise” Catalonia has been making for decades has been routinely ignored or been met with quick fixes that failed to resolve underlying problems. Looking at the current state of the richest region of Spain is disheartening both for the Catalans and the Spanish. Many have blamed the current situation on the Spanish president, Mariano Rajoy, saying that he did not act quickly enough to Catalonia’s attempts to secede from the union. On the other hand, most critique the separatists by saying that they persistently go against the constitution, which threatens the law and order of Spain. The legitimacy and stability of the country are on thin ice, and if an accord is not met, this clash could have irreversible consequences. As the developments continue, more questions are brought up: Even though Carles Puigdemont technically cannot be president from Brussels, will support for him persist? Furthermore, now that the new parliament has been formed and has elected its leader, it is clear that they intend to continue with the same separatist project. This is a big worry, especially for the Ciudadanos party. If the agenda is going to remain one that only concerns itself with independence then is it worth even to attempt a deliberation? This repeating pattern is not new for Catalonia, but considering the new height that the conflict reached last year, it would be a shame not to see more efforts in the talks. Disagreements within the independentist parties also seem to be developing; there is uncertainty as to what approach to take regarding the investiture of the new president of Catalonia. Puigdemont is still the chosen one but the feasibility of him ruling is becoming less clear. If a new candidate is proposed, will they also adopt Puigdemont’s policies? Will their approach be just as defiant of Madrid? Undoubtedly the band-aid type of solutions cannot continue. There is also uneasiness about repeating past constitutional infractions. If this occurs how should the government respond? This last question brings back the point of the enactment of Article 155. If Puigdemont attempts to get the presidency, then Catalonia remains under the control of Madrid. For how long will the autonomy of the region be compromised? The enactment of the article, which President Rajoy declared to be a temporary solution, has also raised questions about its usage. However, if the situation is repeated, Article 155 cannot always be enacted. One cannot suspend autonomy indefinitely, especially when Catalonia is the prime economic power of Spain. It is an unsustainable situation and would not be fair to the Catalans that do consider themselves Spanish. It would further damage the relationship between Catalonia and Spain. This political debacle in Catalonia demonstrates a lack of faith in institutions and a desperate need to define cultural identity. The solutions proposed to this vary, but for now, the waiting game begins to see who are the new figures that will hopefully continue the dialogue with Madrid. The paralysis that grips Spain is difficult to counteract. However, if there is enough commitment from both sides not just to talk but to also listen, one can only hope they will reach a compromise. Lucia Pradel is a B.A. student in Humanities, the Arts, and Social Thought, concentrating in Ethics and Politics, at Bard College Berlin.